When a few mates over Christmas suggested we should go karting, I realised it had been over 2 years since I last went to my local track! 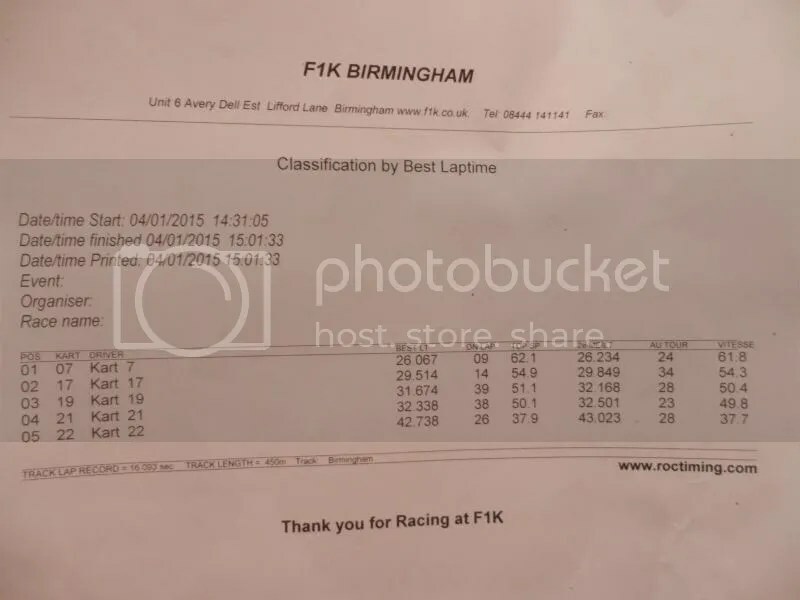 This wasn’t good enough, so this time we actually sorted it out, and turned up at Birmingham F1K to take advantage of a £20 deal for 30 mins of track time. 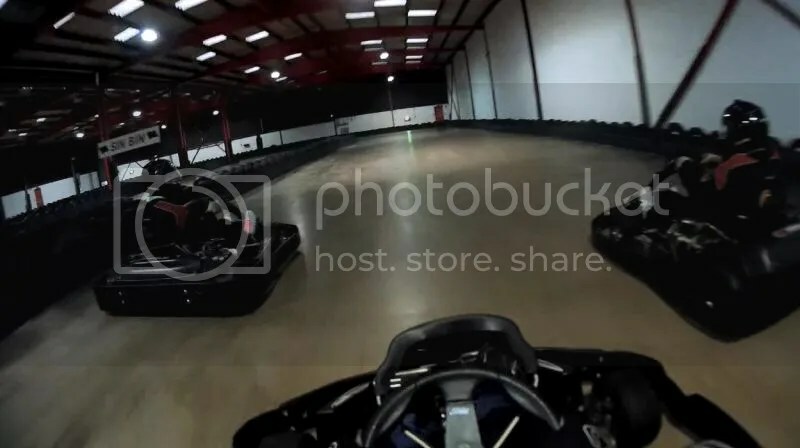 Last time I was there, I’d done a few sessions close to each other, and was convinced that my 27 second lap time was as good as I could drive, and my weight was the only factor left to bring my lap times down. That said, when I’m karting I’ve always used the brakes as a bit of an on/off switch. 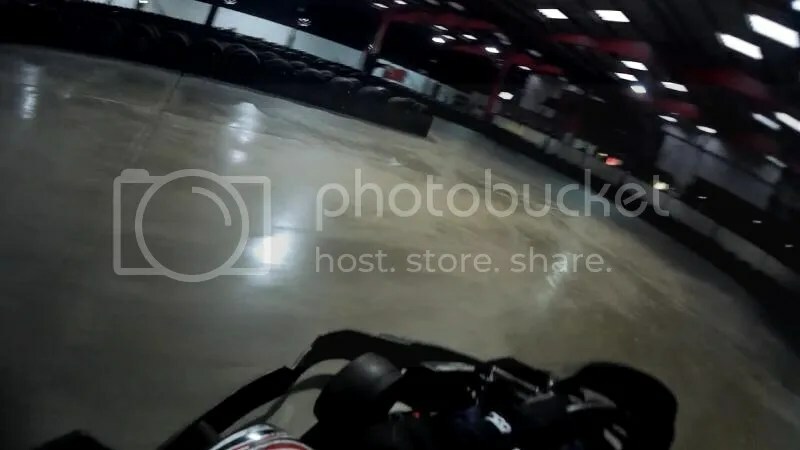 This worked to get the kart sliding and drifting, but, as I hope we all know by now, if your tyres are sliding you’re almost certainly going slower than you could be. On previous sessions I’d worked at making sure I’m hitting the right lines, and there’s less than an inch between me and the edge of the track so I’m using everything I can. These things alone will help you carry speed through corners – which is vital in a kart that goes ‘off the boil’ the instant you release the loud pedal. This time, I was determined to have a go at using the brake pedal a bit more lightly and progressively. I was a lot faster than the others on the track – which made the passing fun, but didn’t actually give me a whole lot of clear laps. And it was all just a bit of fun, so I do like to get majorly sideways and full on the throttle through a few of the corners on the track! I also wasn’t going to shove the others out of the way and ruin their enjoyment, knowing I wasn’t going to get stuck behind them for long. I remember getting a good exit onto the start/finish straight, looking over to find the track ahead clear for most of the lap, and thinking “Right, let’s get a quick one in!”. I scrapped the drifting, and used very delicate braking for the whole lap – just to see if I could get a faster time. This was Lap 9 – and I smashed my previously ‘unbeatable’ (for me!) time by a full second! And I still weigh the same as I did, then! The other few clear laps I had I did the fun way – which felt faster to me, and wasn’t far off that time (a few tenths in it), but never bettered that Lap 9 time. So, experiment concluded – keep it all in line for the best times! Of course, I’m once again convinced that I’d need to lose weight in order to beat my best time – so it’ll be fun to go back again soon, and see if I can get under 26 seconds!